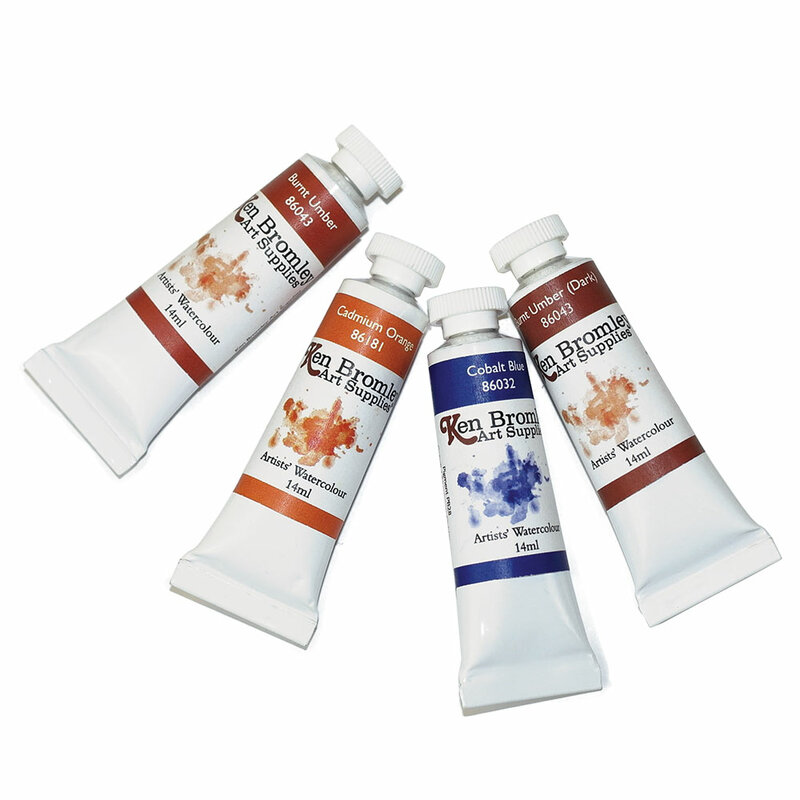 We now have a superb range of 41 artists' watercolours in 14ml tubes made in the the UK using the finest pigments. Ideal for both the amateur and professional artists. Ken Bromley Watercolours do not contain any animal products, except for Transluscent Grey which contains bone black made from calcined animal bones. I LIKE THE DIFFERENT COLOURS IN THE RANGE AND THEY FEEL AS THOUGH THEY ARE GOOD QUALITY. KEN BROMLEY STAFF ARE THE BEST! VERY HELPFUL AND KNOWLEDGABLE.